A spicy Korean stew made with kimchi (Korean fermented cabbage), tofu, and mushrooms, Kimchi Chigae will warm you right up and keep the chill at bay. Although the Bay Area is experiencing summer-like weathers these past weeks, I do feel the season is slowly changing when the chilly wind blows in the evening. Fall is almost here. I’m usually late to post seasonal recipes, but for once I’m ready to share this delicious dish to keep you warm. The dish is called Kimchi Chigae or Kimchi Jjigae. This stew-like Korean dish is made with kimchi (or kimchee) and other ingredients, and today I made a simple version with abundant silky tofu in it. The stew is full of flavor from sweet, salty, sour, and spicy flavors from the kimchi, traditional Korean fermented napa cabbage. There is a lot of room for variation with this dish; you can add protein (meat and fish) and/or other favorite vegetables. If you want to keep it simple like mine, it only takes a little more than a half an hour from start to finish. Many Japanese like to add “Japanese” ingredients like miso in Kimchi Jjigae to add an additional layer of complexity to the flavor. Also the closest substitute to Korean chili paste (gochujang) in Japanese pantry to add body but not too much heat. This hearty spicy stew is served bubbling hot and it’s perfect for upcoming cold days! The soft silky tofu not only melts in your mouth, it also keep the dish sizzling to the very last bite. 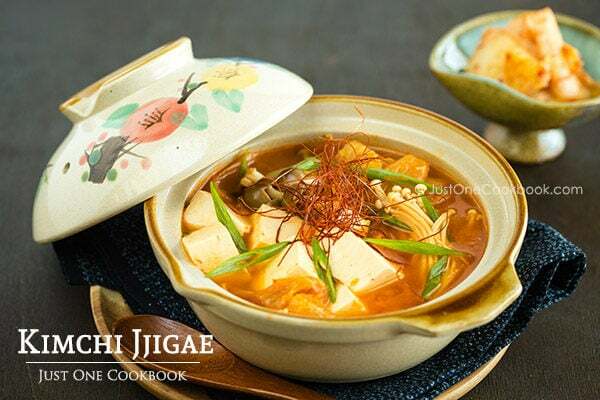 To get the Kimchi Jjigae recipe, click here over at the Hikari Miso’s website. Enjoy! Note: The consistency of Minute Miso is more liquid than typical miso. If you cannot find Minute Miso, you can substitute with 1 Tbsp. miso paste (awase miso or white miso preferred) and 1 Tbsp. dashi/water for 2 Tbsp. Hikari Miso’s Minute Miso. Hikari Miso products are now available on Amazon. You can also buy Hikari Miso products in Japanese grocery stores (my local Japanese and Asian stores carry their product). Disclosure: This post is sponsored by Hikari Miso. To read more about my partnership with Hikari Miso, click click here. SO excited to try this! I’m obsessed with Kimchi! I’ve got a jar in my fridge right now and will use it to make this! I’m still trying to work up to pickles … cabbage sauerkraut is going to take some time but the dish itself is visually appealing. Perfect dish for Autumn. The taste must be amazing. I love asian stew/soups. Never cooked myself, maybe I should try-)) It is so nice and cool here, we eat our dinners outside every day! I love love love tofu bowls! Weather got cold then it’s going to get hot again! I can’t figure it out. I love kimchi! And this stew looks terrific for the fall. This has such great, full flavor – and with a bit of spice, which I like. Good stuff – thanks. I can feel the warmth and comfort of this dish as and when the weather gets cooler. It is so hot today! Oooh, looks so good! Kimchi jjigeh is my all time favorite Korean soup! This is a beautiful soup and so healthy. I’ve never tried this before but would love to make it. The photo is so inviting! It’s not cold here yet either. Seems as though we are still in the throws of summer. This sounds like a great fall dish. And fall will be here before we know it. As I type, our very first cold front is moving in. This kimchi stew would be a great way to welcome the season. Thank you for sharing yet another delicious and delightful post. I hope you had a wonderful Monday. Here’s to an even better week! Nami, Your soup looks delicious! I imagine the flavors to be a perfect soup for fall! I can’t wait to try it! Kimchi is a very restaurant thing for me,your soups looks very good. You’ve just convinced me to make it at home. You make food look so good Nami. Yes, it’s hot here, feels like summer just started. This is one my favourite things to order when I go to a Korean restaurant! I can’t wait to try your version!! G’day Nami! 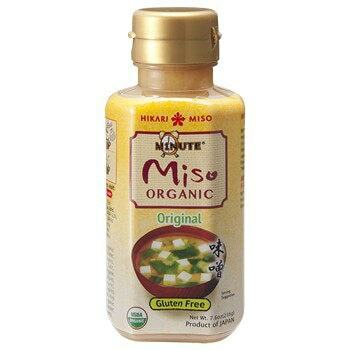 I have never heard of Organic Minute Miso, true! I love kimchi and never thought to make it in a stew! Nami, this looks very autumnal, beautiful warm colors and fabulous list of ingrediensts – I also like the way you presented the Kimchi Jjigae in these very pretty soup bowl with the lids! Perfect for fall, that´s for sure! 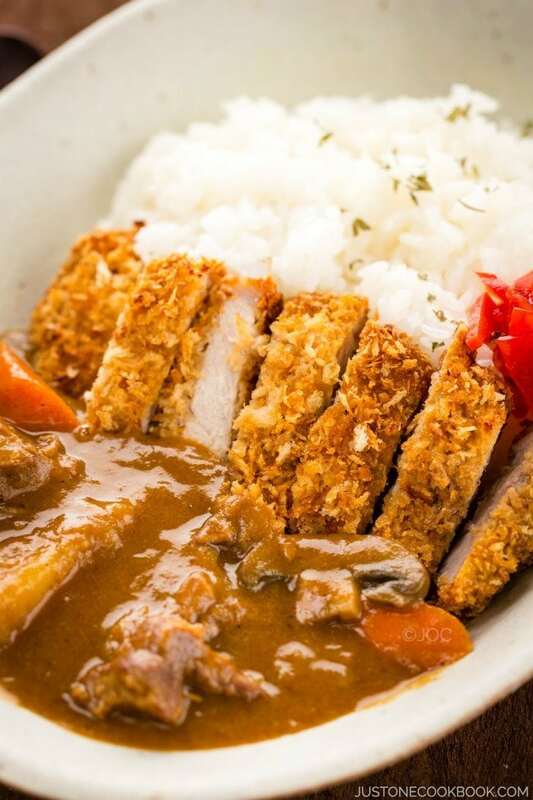 This looks like comfort food especially for a cold rainy day like today! Wow, this is really so good! I love kimchi jigae and often make it at home. 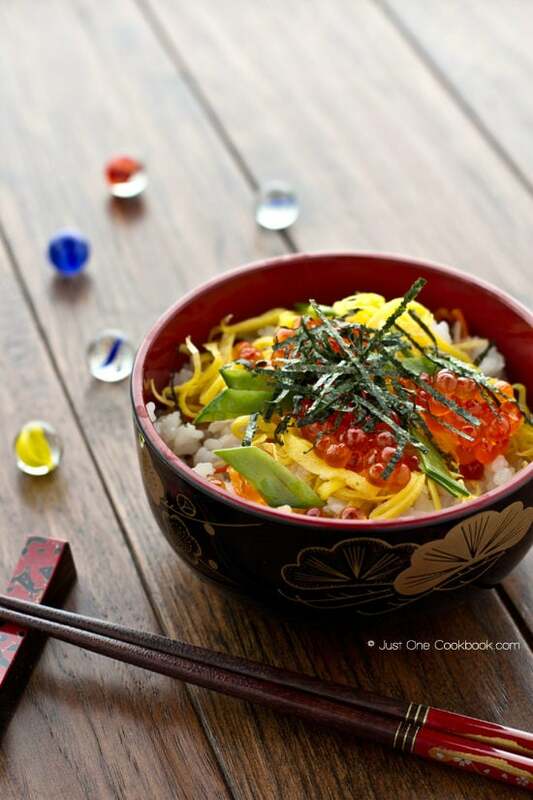 Love your food photographs: thse make me instant hungry! Hikari miso is something I would love to try…great that it is going to be available on Amazon soon! I’ve eaten kimchi but never in a stew like this. Your dish is beautiful! Stunning photo, Nami! As I don’t normally add miso in my jjigae, I’m very curious to find out how adding it would affect the flavour. The Kimchi should be “old”, not fresh. That is it should have been sitting around for a week or two in the fridge (it never lasts much more than that with me). Lactic acid still builds up in the cooler and makes it a little more tangy than the fresh variety. I’m assuming it is the Napa Cabbage version of the Kimchi, not the radish and other varieties. One other ingredient highly recommended to be added for the last 10 min of cooking is scallion/green onion, white & green parts sliced in 1″ lengths. I use about 1-2 scallions/serving – adjust to your own taste. If you use fresh pork belly, add that in when you are cooking the onions in the beginning. Short grain rice is the perfect accompaniment, especially if you turn up the heat with the chilies. And lastly, NOT ENOUGH GARLIC!!!!! Yes I’m shouting. Double or triple the amount. It’ll mellow out when cooking. Peace, love & Cherry Garcia….. I love making soup in the fall when the temperatures drop. This looks so flavorful! Oh my heavens! This sounds like a fantastic dish for the fall season, I would love to get some kim chi! 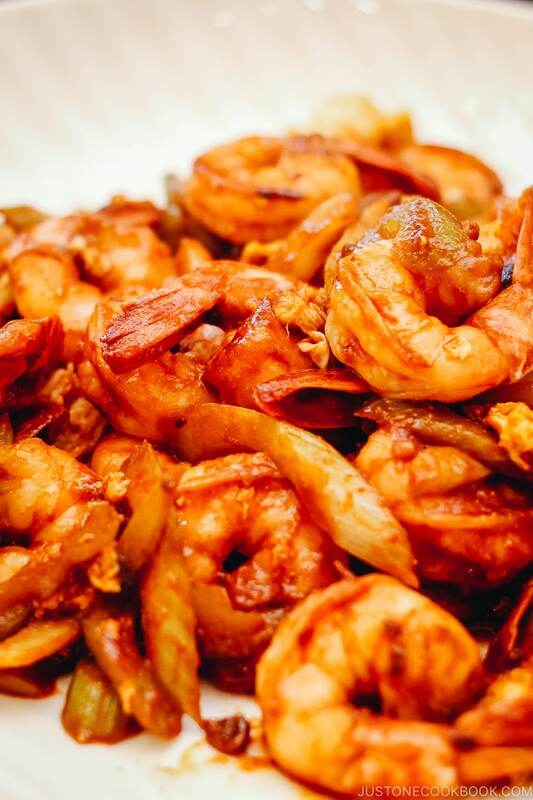 I love all kinds of flavors: sweet, salty, sour and spicy from the kimchi. What a delicious looking “hot pot” dish! A wonderfully comforting stew! I’m sure it tastes delicious. I am a huge fan of Korean food, this recipe just looks amazing. And simple enough I visited the site. What a delightful, colorful, joyful, beautiful stew idea! I could live the rest of my life on this ‘bubbling hot’ bowl full of stew. 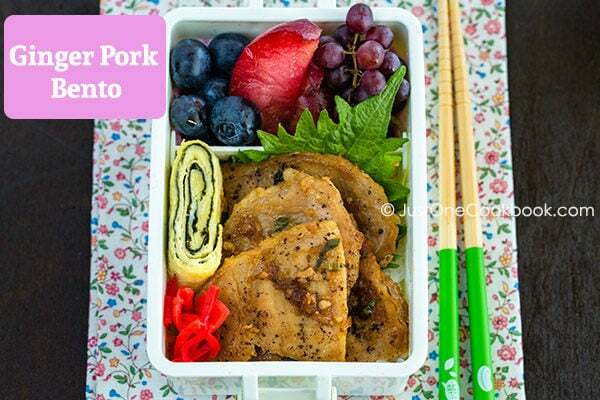 I love the idea of a miso paste! Would make my attempts at your food so much easier:) LOL! I do a good job but having some of this would make it even better! Of course no one can compare to you- you are such a fabulous cook! This looks great Nami! Perfect for our cool autumn temperatures that have started coming in now. Very similar to a dish my mum makes! I don’t eat kimchi that much, probably because I have no idea how to really use it. I’ve tried it in fried rice which was good but am loving this soup idea because I’ve been noticing the cool breeze coming in at night too. Yay fall! Yeah, today’s been pretty warm here in Seattle too, but fall is getting closer – it’s been raining more and more lately. Would be lovely to warm up with this! Love kimchi. This stew sounds delicious. What an awesome kimich stew recipe. I just found a perfect way to use my leftover kimich which has been sitting in my fridge for weeks. Thanks a lot for sharing it! I was in Korea this year in May and I love all their simple soups. Very little deep fried. 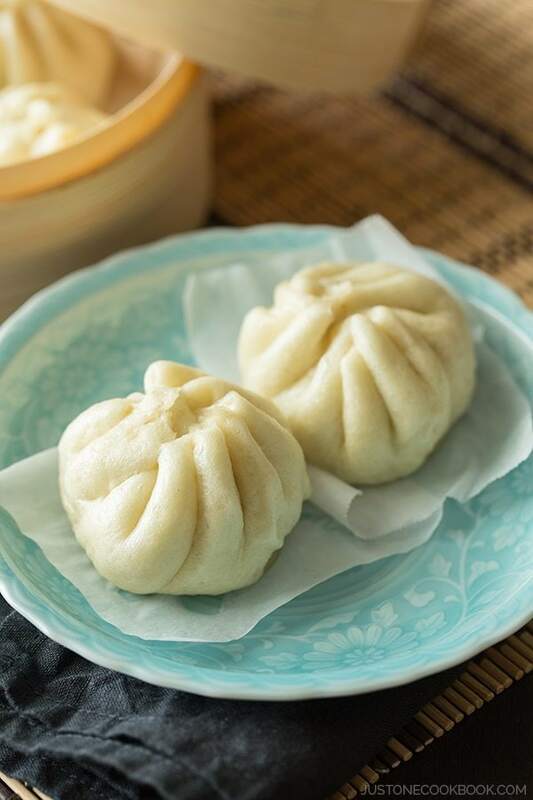 Therefore, could you please put more recipe of Korea home cook. Hi Nikki! I’m not specialized in cooking Korean food, but if I make some delicious Korean foods, I’ll definitely share it on my blog. This looks perfect for the fall! If only the weather would behave (too hot lately!). Everything you make looks like they’re from a restaurant–so professional. I’m hungry looking at these photos. What a beautiful dish that will be perfect for those cool Fall days ahead. I would love to try such a warming and traditional dish! This looks like such a comforting and inviting soup. I love kimchi and I will definitely give this soup a try. Thanks for sharing! This is the kind of good, heartwarming stew that my family will enjoy. I have some kimchi and miso on hand. I just might try this. Thanks for sharing & the kind blog visits, Nami. Hope your kids are enjoying school. Take it easy! I think you did fantastic job, Nami! 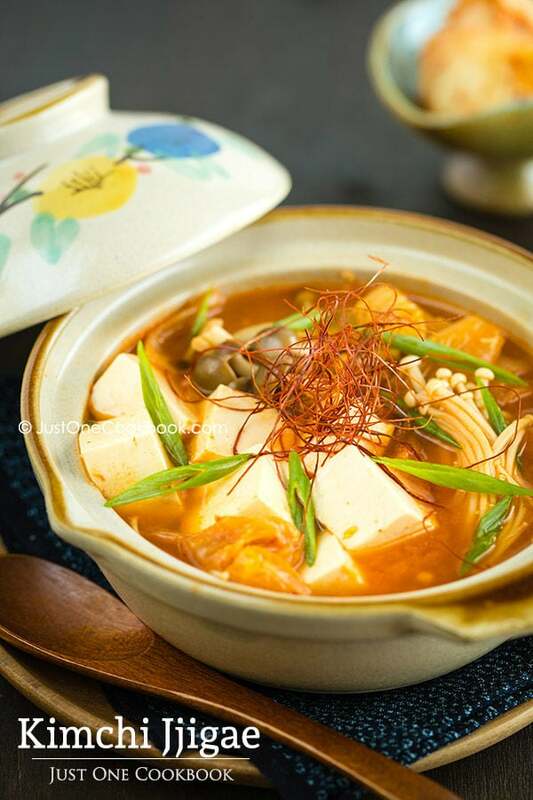 Adding miso sounds very interesting and I will try your way soon…I could eat kimchi jjigae even for breakfast 😀 …yours look appetizing and delicious! Well done as always! I’m always “late” with seasonal recipes, too – probably because we don’t really have seasons in SoCal!! But we crave soups and stews when temps get down to 55 degrees 🙂 I love kimchi and am going to make my own low sodium version for winter soups like this! Now you’re talking my language. I do love Kimchi and am actually surprised to see something so spicy posted here. 🙂 I’ve never used Kimchi in a soup before but that may have to change. This soup looks quite yummy and perfect for the cooler temperatures that we’re experiencing here. I need to try this! I have a friend who is a huge Kimchi lover who would definitely appreciate it. The miso in bottle like the one I used here is diluted so it’s not a paste form anymore. So the amount of miso needs to be adjusted. However, it’s miso, so sure you can use it. What kind of miso did you buy? Red, white, awase miso? Sissi used to use Hikari Miso brand miso (now she’s using miso sent from Japan) and I was surprised they can get Hikari Miso in Switzerland! btw, what is the garnish that u’ve using in the photograph Nami??? I’ve read that fermented vegetables are supposed to be very healthy. Which means this is going to be on my to-make list. 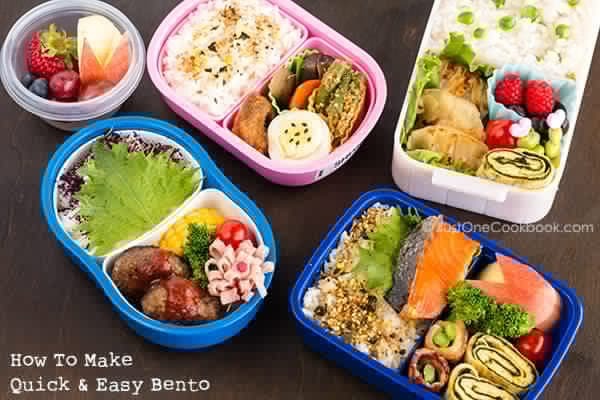 It also looks very delicious and I love your presentation. I have never had kimchi chigae, but I often prepare soups and stews with kimchi and it always transforms everything to a complex, amazing dish. Your kimchi stew looks amazing! And what a cute bowl! I am glad to see you are also a kimchi fan. What a stunning dish, Nami! I just love kimchi and can’t wait to try this one. Beautiful styling and photography, as always! With the colder weather coming, kimchi jjigae is the perfect comfort food. I like my kimchi jjigae simple as well. This looks so yummy! I actually love eating kimchi! I would normally eat kimchi jjigae if it wasn`t so spicy! Haha. I`m terrible at eating any levels of spicy foods. But, I love Korean stews, like tofu soup. Our favorite Korean restaurant on Monument Blvd. in Concord, Ca. is called Korean BBQ Plus. I ordered the Kimchee Chigae for my lunch entree and did enjoy it. The restaurant has a Korean grocery next door and picked up the flavorful Korean chili paste for under $5 and some silken tofu and of course their fresh kimchee. Your recipe is super easy and so wonderful for a day like today where the temps dropped like 20 degrees from the day before. This is a recipe that I will repeat during our cold months. Many thanks. Que presentación tan estupenda tiene tu sopa. it so terrificcc,,,my boss will gonna find this dish interesting,,,thnx goodjob!!! This dish was delicious, thank you! Though I find it interesting that you mention your version is vegetarian. I was under the impression that kimchi was usually made with fish sauce and/ or fermented shrimp paste. I could be wrong, oh well, I’m not vegetarian and thought it was delightful and warming! Living in Nagoya, not speaking more than survival level Japanese, and wanting to try to make (more) authentically japanese dishes – your blog et al are a gift. Hello GaijinCyn (love the nickname!)! I’m so happy to hear you enjoy my recipes and thanks for trying them! Hope you enjoy living in Nagoya! I haven’t explored the city before, and I would definitely love to visit one day (last June, I was at the Nagoya shinkansen station on my way home from Takayama). There is no recipe on mobile. I’m on an Android. Please fix!